In the Two of Wands, we find mankind’s spirit of exploration. The card as we know it today typically depicts a young nobleman by the shore, with a walking stalk, gazing into an orb or geographic globe. Another wand is perched nearby. The surrounding shoreline is the same fielded area that many of our characters have journeyed, or are journeying, through. Roses and lilies are present, whether they adorn his clothes or the garden in which he stands. The shoreline tells us his journey will soon take him to sea, and into the great unknown. The orb, as orbs often do, represents the great truths of life and the universe. Traditional interpretations tell us that the white lily is our young man’s innocence, and the red rose is his courage. Or perhaps the lily is his rebirth, as he is soon to be born into a new enlightened state. Or maybe both flowers have had so many countless meanings over the last several millennia that it’s impossible to say. In the years of the tarot’s infancy, scientific and other such academic learnings were usually pursuits available only to the rich, or noble, or at least landed. The white lily has been associated with regality, and is perhaps telling us that knowledge is kingly. I will try not to obsess over the lily any further. We often see this card when we are embarking on a new endeavor or journey, perhaps one of self-discovery. But, you know that already. As the tarot was taking shape in the late Renaissance, whether as a deck of playing cards, or as a divinatory mechanism and fun party trick, European man’s view of the world was changing dramatically.He had discovered another continent, begun to subjugate its inhabitants, and had sailed around the Earth. With Galileo, the European scientific revolution began, and white man moved into the early modern era. He started down the path of understanding that, contrary to what he would like to believe, the Earth is not the center of the universe -- it’s not even the center of this solar system. He is a speck, if even that, on a blue and green marble hurtling through the black and infinite sea of space in a great ellipse that is slowly widening, casting him and all his kin farther out into the great void. This is what our young nobleman ponders. He is mankind. This card is that journey toward understanding, even as it exists today. Much like the ocean that our nobleman will soon sail upon, the universe is vast and unknowable, filled with knowledge that will mature us, or at the very least, freak us the hell out, and force us to feel our insignificance. The Two of Wands is also a call to move into this unknown with courage. The young man is unafraid. Such exploration is in our very nature, and is a large part of what it is to be human. To press on, to learn things simply to learn them, is what makes us us. Whether we are motivated by financial gain, glory, or simple curiosity, we are fulfilling our higher calling. We are moving the species forward. When we see this card, perhaps we are not just being told that a journey is ahead of us. Maybe we are also being told that we should think bigger, push the boundaries no one else is willing to push, and try to think not as we do, but as we would like to. This article is part of Digging the Roots, an on-going series by Zach Toman about the cultural and symbolic history of the tarot. Follow @ZachToman on Twitter. The word “maiden” itself sounds archaic to our modern ears. It conjures images of handmaidens at court or damsels in distress, shy wedding nights or reputations soiled. Or, is the virgin goddess “sovereign” or “set apart”, able to retain in her independence and work outside the sphere of male influence? The constellation of Virgo holds the answer. According to myth, Hades kidnapped Persephone and took her to the underworld, where he forced her to become his bride. When Demeter heard about her daughter’s disappearance, she fell so deeply into despair that she could no longer will crops to grow. The earth became barren as she and witch goddess Hecate searched the earth tirelessly for Persephone. Eventually, Zeus commanded Hades to send Persephone back to her mother. Before permitting Persephone to depart, he convinced his new queen to eat fruits from the underworld, ensuring a part of her will remain in the underworld forever. Persephone is ultimately reunited with Demeter, but returns to Hades during the winter months, starting the cycle again each year. Demeter and Persephone had one of the most famous cult followings in the ancient world, the Eleusinian Mysteries. Unlike other cults, both men and women, as well as slaves and free people, were allowed entry. The festivals were split into the Lesser and Greater Mysteries, with the Greater taking place during the sun’s transit of Virgo in September. For the most part, the exact rituals are obscured by time and the oaths that bound the initiates to secrecy. What we do know for sure is that many eminent thinkers of the time (including Plato and Aristotle) considered their participation in these rituals to be one of the most profound experiences of their lives. Under Athenian law, sharing Eleusinian teachings with the uninitiated was punishable by death. This commitment to keeping knowledge as pure and intact as possible may be a truer representation of the Virgo archetype than physical chastity. “Unlike the lifelong celibacy practiced by clergy in Roman Catholicism and some other contemporary religions, virginity was viewed as a temporary state for ancient Greek priestesses. Indeed, the Greeks defined virgin (parthenos) status quite differently from how we do today. For them, it was the condition of a maiden who had passed through puberty but was not yet married. Emphasis was not focused on a state of intactness, which the modern definition requires. Nonetheless, the example of the Vestal Virgins of Rome has sometimes distorted our view. The Vestals were appointed as girls aged six to ten years old who were committed to virginity, in our modern sense of intactness, for a period of thirty years. At the end of their tenure, they were free to marry, though most elected to stay on as virgins, at this point having forgone most of their child-bearing years. The potency of their state of chastity, the excessive suspicion of any compromise visited upon their purity, and the appalling gravity of punishment by live burial for Vestals who transgressed, make for an extreme case that stands outside the norms of anything known in the Greek world. Others pantheons identify the Maiden with goddesses of justice and authority. Romans viewed Virgo as their goddess Justitia, because she appears to hold the constellation of Libra, the Scales, in her right hand. Justitia was also known as the Greek Astraea, who fled to the heavens after the Golden Age of innocence and peace gave way to the warlike Iron Age. Egyptians connected the Maiden to Isis, the Egyptian goddess of ritual magic and royal authority. Isis assisted her resurrected brother-husband Osiris with his affairs as king of the underworld, and both were the subject of a vast harvest cult following in some ways similar to that at Eleusis. So, who is the Maiden? She is Demeter, who has grown old and wise providing nourishment for her community. She is Persephone, the youthful spirit forced to grow up before she’s ready. She is Justitia, the essence of integrity and personal honor. She is Isis, at once the devoted wife and powerful sorceress. But most of all, you become the Maiden as you transform with the seasons of your life. Connelly, J. B. (2007). Portrait of a priestess: women and ritual in ancient Greece. Princeton University Press. Hesiod. The Homeric hymns, epic cycle, Homerica. Translation by Evelyn-White, H. G. (1914). Loeb Classical Library Vol 57. Harvard University Press. Hymn 2 to Demeter gives a detailed description of Persephone's abduction and rescue. In our exploration of the human-animals of the zodiac, we established that the vastness of our minds is the main characteristic that sets humans apart from other animals. As the Earth Maiden, Virgo is the merging of our intellectual capacity and our instinctual body. Virgo takes us out of the Gemini-mind, moves downward acknowledging our physicality, and is the initial connection between mind and form. Virgo also shows us the ways we are similar to and aligned with other animals rather than pointing out where we diverge. All animals learn how to exist in their surroundings by observing (watching, listening, smelling), trying, and then processing those experiences so that their body and mind will react appropriately in the future. It is in this way that Virgo exemplifies our similarities to other animals. They are keenly observant and process newly-discovered information not just in the mind, but down into their earthy being. Virgos don't just know something, they feel it in their body. Typically fast learners, once they have mastered a task it's embedded in their muscles and bones and they quickly move through it with ease. A Virgo reading a book is not just taking in the words, but sensing the narrated world as if they were in it, feeling it, right in that moment. The mind of Virgo is very sharp, but the influence of the element of Earth keeps them connected to their physical senses. We have seen the virgin and maternal aspects of Virgo described above and, in the vein of the Triple Goddess, Virgo could be seen as the Maiden and the Mother. The association with virginity gives an innocence to Virgo that can be mistaken for apathy or naivete and betray the deep wisdom they have obtained with their apparent wide-eyed idealism. Such is the way of many animals - seemingly innocent and naive, yet full of knowledge. For example, a Squirrel may not appear to be a wise creature, as they are jumpy and approach everything as if they've never seen it before; yet the Squirrel has an understanding of how to exist in its environment that is deeply rooted in its body and goes beyond pure intellectual reasoning. The Squirrel knows what to expect from familiar circumstances because of previous experience, but it is prepared and understands that each encounter can bring new variables. As the Squirrel moves slowly out of the bushes toward the ground under my bird feeder, as it has done a thousand times before, it is still cautious and filled with trepidation. It is processing all that it already knows and taking in any new information, integrating it all together. It is this ongoing collecting of wisdom that gives Virgo a motherly quality juxtaposed with a surface level innocence. This integration of new facts and knowledge with previous experience allows Virgo to be practical, resourceful, patient, and methodical. This process can also cause Virgo to be worrisome, controlling, and even a bit OCD. Learning to bring intellectual thoughts into the physical form and trusting the mind-body connection can help with Virgo's anxious or domineering tendencies. It is this same act of integrating, however, that gives Virgo the ability to learn and adapt and allows them to live well in community with others. Virgo encourages us to take our knowing into our physical form and listen, trust, and act from our entire self. ...you need to trust your gut. ...you want to transform and be able to ebb and flow with the movement of life. ...a tendency to worry; knowing can bring apprehension. ...a controlling aspect; knowing can also bring too much regulation. In keeping with Virgo's ability to listen to their body, the following meditation is an adaptation of a sacred exercise presented in Briana Saussy's Spinning Gold and Miracle Tree Sessions programs. She has graciously allowed us to share this modified version of a contemplative way to connect your thoughts and your physical experience. When we talk and feel into intuition things can get very foggy and vague quickly. This is because intuition belongs to the Otherworld, the liminal world and it works according to the rules and customs of that world not our highly analytical, extremely audio-verbal waking experience. Thankfully there is one immediate and direct way to begin experiencing your intuitive guidance, and yes, we all have intuition, the path of this experience lies through and within your own blessed body. Affirm and acknowledge the presence of your shields and note if any areas or zones of the body need especial attention at this time. Engage with the your breath again. Ask in your mind and heart for your body to show you what YES feels like for you. Pay attention specifically to what area of the body comes alive upon YES and what that life feels like: an opening, a heating up, a tingling, something completely different? If when you first ask you feel that you do not receive a response in and through the physical body then, remaining engaged with the blessed body breath, allow yourself to remember a time in your life where you were asked a question, given an opportunity, or made a decision and the answer was YES. Remember the specifics of the situation — the people involved, the time of day and season of year, the specific content. Then focus on the memory of your YES, what did it feel like in the body? Where did it happen in the body? Once you can see, sense, touch, know, and feel your YES, then we turn our attention to NO. Ask in your mind and heart for your body to show you what NO feels like for you. Pay attention specifically to what area of the body comes alive upon NO and what that life feels like: an closing, a cooling, a tensing or contraction, something completely different? If when you first ask you feel that you do not receive a response in and through the physical body then, remaining engaged with the blessed body breath, allow yourself to remember a time in your life where you were asked a question, given an opportunity, or made a decision and the answer was NO. Remember the specifics of the situation — the people involved, the time of day and season of year, the specific content. Then focus on the memory of your NO, what did it feel like in the body? Where did it happen in the body? Once you can see, sense, touch, know, and feel your NO, then we turn our attention to MAYBE. Ask in your mind and heart for your body to show you what MAYBE feels like for you. Pay attention specifically to what area of the body comes alive upon MAYBE and what that life feels like: a calming, a cooling or heating, a settling in and down, something completely different? If when you first ask you feel that you do not receive a response in and through the physical body then, remaining engaged with the blessed body breath, allow yourself to remember a time in your life where you were asked a question, given an opportunity, or made a decision and the answer was MAYBE. Remember the specifics of the situation — the people involved, the time of day and season of year, the specific content. Then focus on the memory of your MAYBE, what did it feel like in the body? Where did it happen in the body? When you have completed this meditation, record your body's responses. Make note of your physical and emotional feelings for each question. Reflect on how you can listen to your body in everyday life. If you don't feel you have clear signals for yes, no, and maybe in your body after completing this exercise, revisit it weekly until the answers feel solid to you; be patient and know that your mind and body are meant to talk to each other. Named for the Greek goddesses of the stars and nature, respectively, this joint blog series with Candlesmoke Chapel's Sara Magnuson investigates the magic and mythology behind each astrological sign. 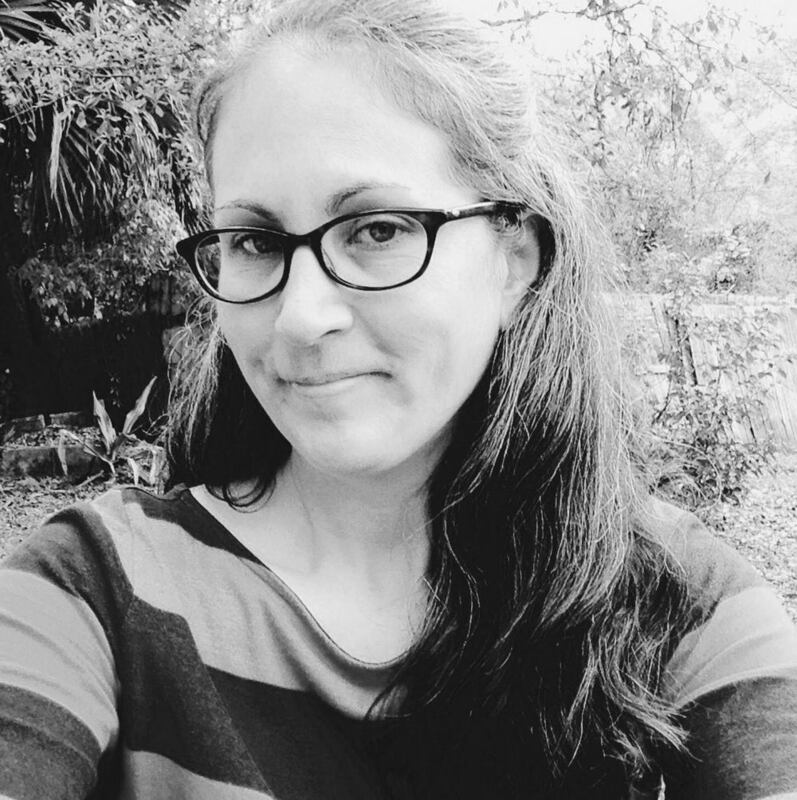 Sara is a crafter of spiritual supplies, a reader of cards, a diviner of animals, and the co-founder of Candlesmoke Chapel. Her personal practice is eclectic, animistic, and ancestral. The guidance she provides is based in the messages of Nature and its role in how we move through this world. I’m very cognizant of the negative connotations that word carries, and the truth is, I’ve felt resentment creeping into my attitude towards specific behaviors of the spiritual community for a while. While I cherish the occult arts and my fellow witches, there are certain practices and beliefs towards which I can no longer turn a blind eye. For the most part, the modern-day mystic has little respect for the integrity of the sacred arts. We are satisfied with Pinterest platitudes and the Lululemon spiritual agenda instead of seeking knowledge at its source. We want to wear our magick as a transgressive fashion statement instead of studying the deeper meanings behind it. Your average practitioner would likely be unable to answer questions about the history or practice of their craft with any degree of accuracy -- though they could tell you what was posted on Instagram yesterday. Though the occult is experiencing a visible renaissance, the archetypes within it aren’t new. We have a wealth of primary sources from which to draw inspiration. Early Greco-Roman works are the genesis point for many of today’s astrological archetypes. You can look to the planets’ namesakes in Homer’s hymns and Hesiod’s mythology for information on how they interact with one another and humanity. In the same way, you can review the odes in Ovid’s Metamorphoses for clues to how these timeless stories are playing out in the constellations above. Furthermore, an accurate understanding of the history during which these myths emerged is essential to understanding how they work. Academic rigor is pitifully lacking from today’s spiritual communities, who prefer hearsay over facts and unqualified personal gnosis over history. The Babylonians, Greeks, Romans, and other ancients kept meticulous records; we have only to utilize them. Of course, we know that tarot came much later. Misinformation about tarot may be the most rampant, in large part due to legends propagated by the Golden Dawn and other secret societies of the early twentieth century. Indeed, it is much more exciting to believe that the cards are part of an unbroken line of magickal tradition or grand conspiracy than to acknowledge the fact that tarot has only been used in its current divinatory capacity for a little over 300 years. But is the real history of the occult not fascinating? Is it not marvelous? Throughout the centuries both men and women, free people and slaves, participated in rituals, oracles, divination, festivals, and more that is likely lost to time. The archetype of the sacred knowledge keeper has persisted in nearly every major society worldwide. Truly, the reality of these arts is no less magical than the rumors we perpetuate. 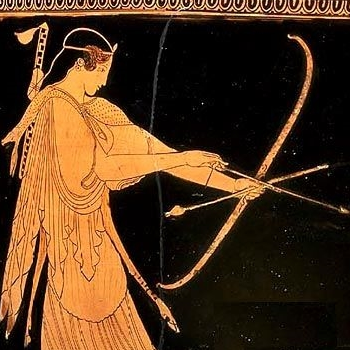 Perhaps ancient Greece had no sacred prostitutes1, but their culture included a class of priestesses so respected they were called upon to assist with political and social decisionmaking. That’s more than we can say for feminism in some regions of today’s world! As such, there is absolutely no reason to hold onto inaccuracies when the truth is just as empowering. The most grievous error in grasping so desperately at the things we wish to be true is that we give those who would tear us down an inroad. Skeptics see this behavior and dismiss us instead of further investigating the rich lineage of this craft. Though much of what we do remains unproven, the vast cultural history of the occult arts could become one of our greatest strengths. So many of us have come to the sacred arts and alternative spirituality after some form of religious trauma. We found our past belief structures to be too flimsy or too rigid a container for our collective spirit; however, if we permit ourselves to cling to delusions, are we not that which we have sought to leave behind? We have traded one religion for another. This may be most visible in the superstitions around modern spirituality and occult practices. We are told to burn sage, charge our crystals in the moonlight, never to speak of spells in process, and always wear white to yoga class. While many of these can be useful tools, how often do we stop and ask ourselves where these practices originated? Are they truly necessary, or are they more of a compulsion we feed out of fear that not doing so would invoke some some vague, evil force? Perhaps the aforementioned religious trauma is exerting a surreptitious effect on our spiritual practices; however, if that is the case, we need to become aware of such influences and move past them. So, where do we go from here? In the spirit of Saturn in Sagittarius, we must hold ourselves to a higher philosophical standard. Anytime you post -- on a blog or social media -- you are representing the wider network of mystics not just online, but around the world. You carry that responsibility. Every post doesn’t need to be an academic treatise, but know why you do what you do. Discover the impetus behind your beliefs not just for the spiritual community, but for yourself. As for my personal services, I will continue to offer them as my schedule allows. It is my deepest hope that the full natal chart readings can at least help you scratch the surface of the great lineage I’ve described above. That’s one of the many reasons I’ve brought Zach onto The Midheaven’s team. His knowledge of the tarot’s history not only puts the reading into context, but makes the reading a living, breathing thing. That’s what I’m striving for in all things: work that’s living and breathing. I could write you a generic explanation for Venus in Scorpio in 50 words, but that’s not going to help you. I want to do more. There is so much more to say. When someone’s offenses make your ears burn and you shout them down, or you start that fight, or you rush to aid a friend, you are the Knight of Swords. In many depictions, the Knight is either on horseback, bearing down on his objective at great speed, or he is shown by a burning tower. The Knight of Swords has two parallel threads of historical meaning. Both may be leading us to the same end. The chivalric code is not something that existed in the way we like to think, as a concrete ethical code followed by all honorable knights. Rather, the code was the ideal of the age during which the tarot originally emerged. This code was later romanticised by Chretien de Troyes, who may be best known for creating Lancelot, now a fixture of Arthurian legend. The idealism of chivalry was in sharp contrast to the brutality of medieval warfare. The Knight of Swords is brutality and swift judgment, wrapped in morality. As we swing the sword, we believe that we are doing it in the name of Justice, but who can give us that right? Christian God? The Old Gods? Those that govern us? The other thread is that of the Crusades. In many decks, the Knight rides through a scrubby plain, or beneath a burning tower, pointing us to that most violent of religious pilgrimages. Again, violence and pain is dealt in the name of rightness. Still, this thread points us to another aspect of the Knight that we must confront: not only does he deal this violence in the name of morality -- he also deals for his own financial gain. Knights would return from campaign with great spoils, and could even be awarded with additional lands. Historians have made the argument that the spread of Islam was only the surface concern of many European combatants leaving home to fight in the Crusades. With that in mind, consider that the burning tower behind the Knight in some depictions is The Tower. Maybe his rash actions lead to great change, as such actions often do. Maybe that’s not a good Tower we see. If so, we must find a way to use the forward momentum the Knight brings us for good. Swift action is not inherently worse than thoughtful, measured action, but it is more likely to be such. If you must take swift action, be certain that what you are doing is right for all parties involved. Ask yourself, are you capable of deciding what is right for everyone? Haste prevents us from seeing the wider web of impact.